Develop a gradual tan or extend the life of an existing one. Boasting the soothing and hydrating properties of green tea, liquorice extract and raspberry, the coconut fragrant tinted self-tan creme leaves the skin rejuvenated and glowing. The non-aerosol hydrating mousse comes out in a whipped texture for easy application. Creating a natural-looking tan that fades like a real tan would, the fast drying formula deepens over two hours, whilst added moisturisers smooth and soften the skin. 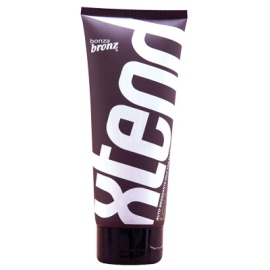 This tinted gel absorbs quickly into the skin leaving it instantly bronzed. Used daily or between spray tans the non--tacky formula helps maintain a deep and even colour. For best results use Tonic Body Polish Exfoliant before applying. Tonic self-tanning lotion smoothes and moisturize the skin whilst creating a glowing tan in just hours. Use daily or in between spray tan to prolong a sunless tan. For best results use Tonic Body Polish Exfoliant before applying.